In today’s world, one thing that a lot of us have in common is wanting more space in our homes. We are always trying different strategies in an attempt to upgrade our homes, whether it’s remodeling the kitchen or redecorating the living room. But why are garages often overlooked when planning an upgrade to your home? Most people think of the garage as just a place to park their car, and maybe somewhere to store all their extra clutter. However, a garage can be more than just a storage area, and its potential is often underused. 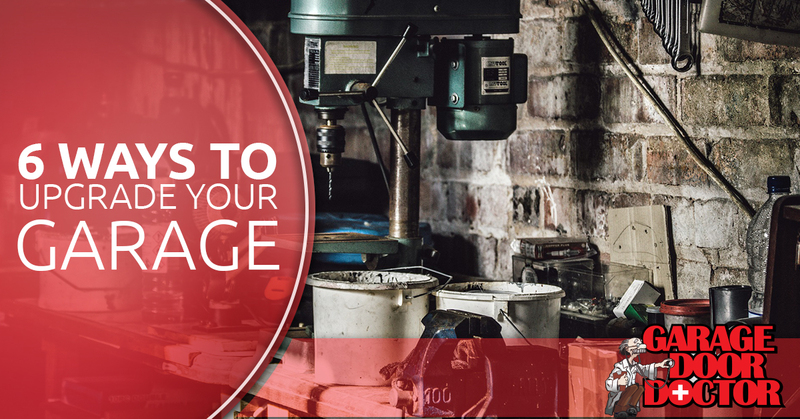 Let’s take a look at a handful of ways you can upgrade your garage and utilize its space. Working on more garages than we can count, we know how disorganized garages can become. But there are many different options available for getting your garage organized. Wall organizers can be extremely helpful and can cut down your garage clutter in no time by removing items off the floor and placing them onto the walls. This not only gives you easy access and storage for your items, but it also creates much more floor space. If your garage has space, installing ceiling storage is a great way to organize items that were originally stored in your garage. If you’re going to upgrade your garage, you should consider improving the floor. For those who have an old garage, the flooring is most likely concrete and may have some oil stains and cracks here and there. Overall, looking at the floor makes your cringe. Sure, you can take the time to power wash the stains off and scrub the floor clean, but you’re still left with an old concrete floor. Epoxy flooring is a trend that has taken off with garages. A lot of new or upgraded garages will contain epoxy flooring. Sealing a garage floor with epoxy is very common for car collectors and vintage car restoration fanatics. This flooring makes messes much easier to clean and is more visually appealing than a concrete floor. Sealing with epoxy will give you a garage floor you’ll appreciate every time you step foot on it. While wall organizers work great for storing and organizing items in your garage, they are limited to the amount of weight they can hold and what they can store. Adding cabinets to your garage is an efficient way to store small items, as well as items that are bulky. Floor-to-ceiling cabinets turn vertical space into innovative storage possibilities, getting everything off the garage floor and into a cabinet, safe behind a door. Cabinets can either be fitted or mounted for more stability, or free-stand cabinets are a good option for garages that move around a lot to meet the necessary demands. Getting custom made storage cabinets for your garage will allow for effective usage of the vertical space wherever it is needed. Custom cabinets can vary from floor-to-ceiling; base cabinets under a countertop; upper cabinets over workspaces, vehicles, or belongings; enclosed cabinets with drawers; or a combination of them all! Even if your garage is small, you can still upgrade it by adding upper cabinets, providing sufficient and functional storage in addition to parking accommodation. Heating and cooling costs can end up getting expensive, especially if you have a garage. Although garages can open and shut, they still allow air in, which ends up changing the temperature of the garage. When a garage is attached to a house, it can affect the temperature inside of the home. An insulated garage door will conserve energy, keep your garage warmer, be less likely to come out of alignment, and will be significantly quieter than a door without insulation. Even if you take the time to insulate your door, there are still other issues you may face if your garage is attached to your house. If your garage has concrete walls, cold air can still be transferred to your garage and home. Insulating the ceiling and walls of the garage will help stop the fluctuation of temperatures in your house, lowering the energy bills, even if the temperature changes inside your garage. Our phones are an important part of our lives. Studies have shown that we use our phones more than four hours each day, so why not open your garages with one? There are many garage door openers that use this technology so that your garage can be controlled in the palm of your hand, no matter where you are. Garages can open and close with the tap of a button, but having your phone serve as a remote, you’ll never have to worry about losing those tiny openers that only work within a certain range. Even if your current garage door opener doesn’t have the wireless smartphone technology, special sensors are available to pair with your current opener, giving you the same functionality. In a previous blog, we explained how garage doors can improve your home’s curb appeal. In most cases, garage doors are the first thing people see when arriving at a home that has one, so it’s important to make a good impression. No garage upgrade is complete if the door is old or requires consistent troubleshooting or maintenance. By upgrading to a new garage door that perfectly captures the idea you have in mind, you can instantly transform your home’s curb appeal. Some new garage doors even come with insulation, which will end up saving you money on your energy bills. Upgraded garage doors also make for better security, making it harder for intruders to get in than it would be with a bad-fitting or faulty garage door. Lastly, upgrading your garage door and opener will save you time and money by requiring significantly less maintenance than what an older one would need. 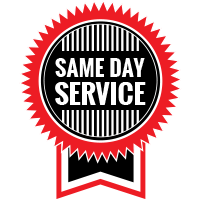 When you’re upgrading your garage and are looking for a new door or opener, contact Garage Door Doctor! 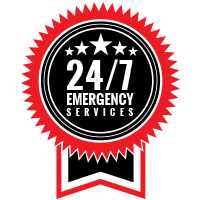 We perform garage door installations throughout Indianapolis and the surrounding areas. We carry a variety of residential garage door types, like raised, recessed, and flush panel doors, accent plank doors, and carriage house stamped and overlay doors. We also offer installation of reliable Liftmaster garage door openers. Let Garage Door Doctor help complete your garage upgrade with our wide selection of modern doors and openers. For more information, contact our team today!